There were between 700 and 800 licensed NES games released in North America and Europe. If you include Famicom games and unlicensed games then the total number of NES games reaches the thousands. Like any console, the NES had it’s fair share of awful games, average games and great games. Though some of the best NES games ever made are also some of the greatest games made for any video games console; which makes compiling a list of of classic NES games very difficult. * Note: There are a lot of images and videos within this article so if you do not have a fast internet connection, please allow time for the page to load. Released in 1988 by Capcom, was based on the arcade game which was released the year before. In the game you control Badds, a man who has a bionic arm. 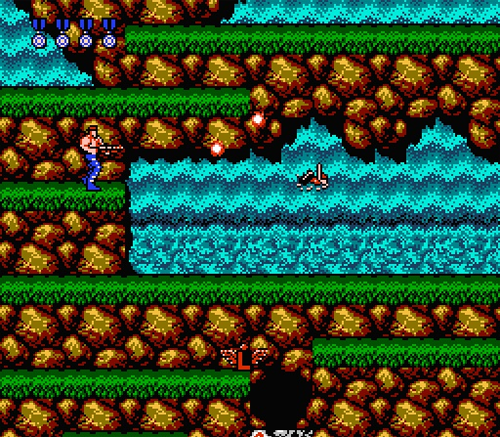 The game is similar in many respects to games such as Contra however you cannot jump. Instead, you need to get to higher platforms by using your bionic arm, which is incredibly fun. The game was quite challenging, particularly in the last levels. In 2008 it was given a fresh next generation look and released on the PC, Xbox and PS3 as Bionic Commando Rearmed. Stangely, the game was released in Japan as Hitler no Fukkatsu: Top Secret​, which translates as The Resurrection of Hitler: Top Secret. 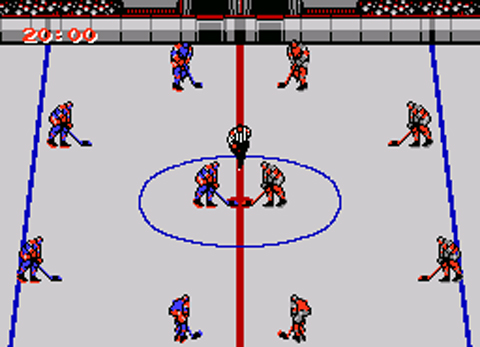 Released in the arcades in 1987, Konami ported their successful ice hockey game to the NES the following year. NHL teams were included but since Konami didn’t get an official license, the team names were changed. 4 Teams were from Canada and 4 were from the United States. 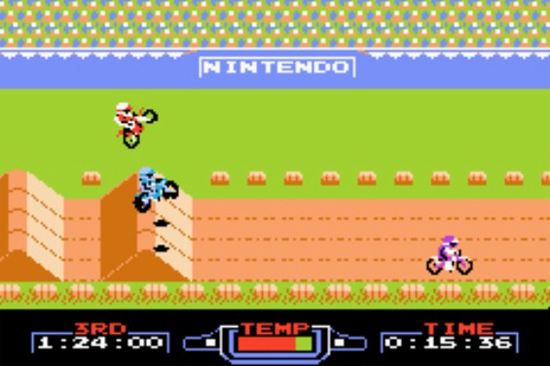 The game was really fast paced and was one of the most popular sport games for the NES. One of the best parts of the game was the ability to fight. If two players bump into each other 3 times the game changes to a fight scene, allowing both players to fight it out. 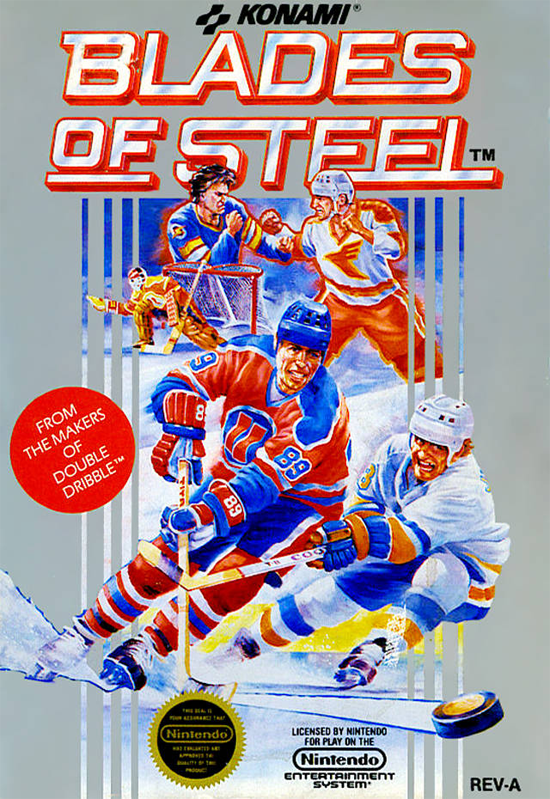 Blades of Steel was actually released in Japan first. It wasn’t released in North America until the 1988 Christmas period whilst European gamers had to wait another two years on top of that. Another arcade port, Taito ported Bubble Bobble to the NES in 1988. The game is a fast platformer reminiscent to other arcades game of the early 80s like Mario Bros (not Super Mario Bros.). In the game you control one of two dragons; Bub or Bob. You need to jump about the different platforms avoiding enemies. You can kill them by blowing bubbles which float across the screen and trap them inside. 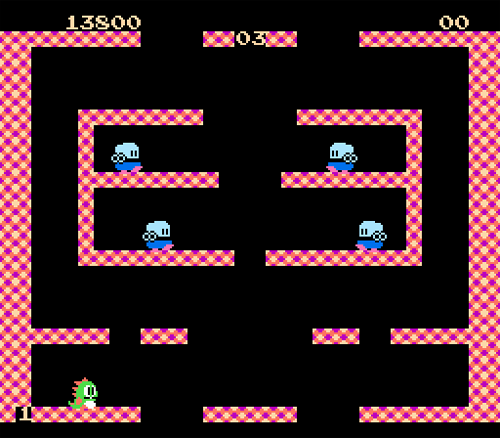 You can then touch the bubble to kill them, similar to what happens in Mario Bros.
Once an enemy is killed an item is dispensed and can be collected for points. You can also jump on your own bubbles. The game has hundreds of levels and in order to progress, you need to kill all enemies within the screen. The game was incredibly popular and was ported to just about every console and computer system which was available in the late 80s. 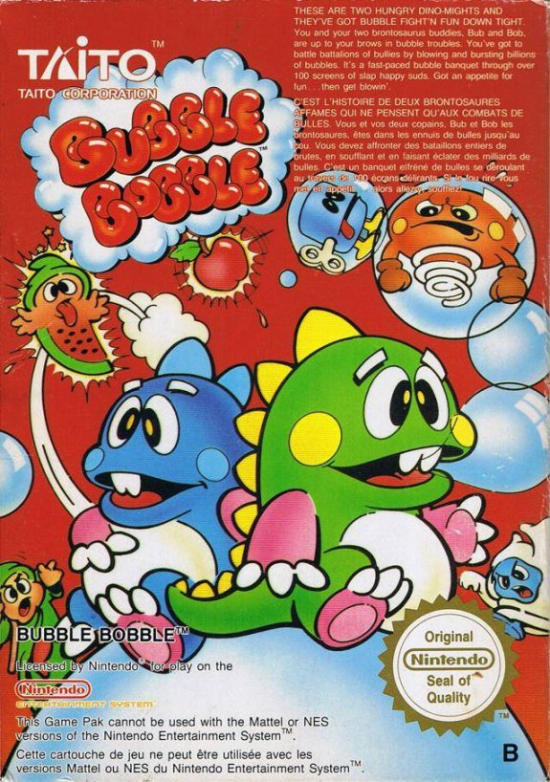 The game spurred many sequels and spin offs like the Puzzle Bobble series. 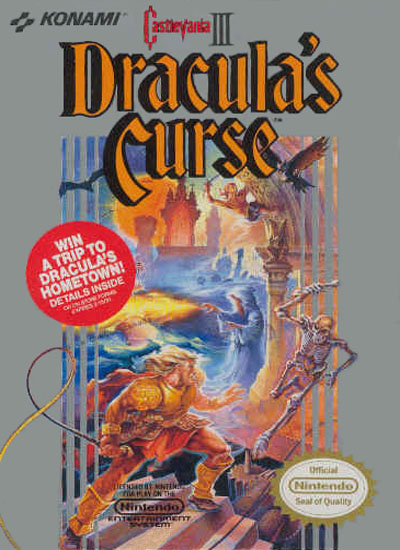 The last game of Konamis hugely successful Castlevania series on the NES was released very late in the Nintendo systems life. It was released in Japan in 1989, North America in 1990 whilst Europe had to wait until 1992. In Europe, Castlevania III was released over 6 months after the release of the Super NES. Although Castlevania and Castlevania II: Simon’s Quest had sold many more copies, Castlevania III is widely regarded as the best Castlevania game on the NES and is usually credited as one of the best in the whole series. 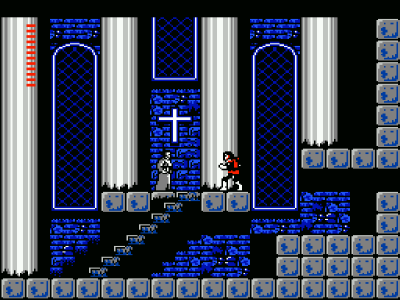 The game plays in the same way as the original Castlevania (platform), rather than the adventure style which was chosen for Castlevania II. In the game you play as Trevor C. Belmont, who is apparently an ancestor of the character from the original game. The game was massive, boasting a huge 15 levels. The music was great too (for the NES) and they got the difficulty just right. It is a real shame that this game was released so late as millions of gamers didn’t get a chance to play it. Mega Man 6 is another NES classic that most people didn’t get a chance to play as it wasn’t released in Japan until 1993, 3 years after the Super Nes was released. Another Konami arcade game which was ported to the NES, Contra was released on the NES in early 1988. The game was not released in Europe until December 1990. In Europe the arcade game had been known as Gryzor but the console version was rebranded as Probotector (which apparently was done to get round some censorship laws in Germany). The game can be best described as a platform shoot-em-up (similar to Metroid). 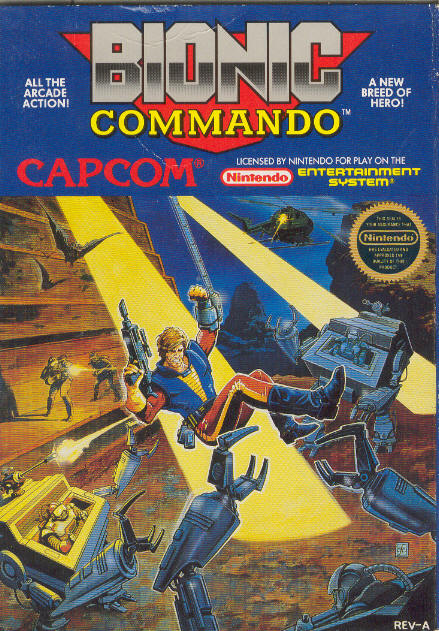 You control one of two commandos; Bill Rizer or Lance Bean (In PAL versions these were replaced with robots). You are armed with a machine gun which has unlimited ammunition, which you need to use constantly to progress through the levels and beat the end guy of each level. The game was incredibly fun to play, particularly in two player mode. It was one of the only games to get a two player platform game just right. In each level you could pick up a variety of weapon upgrades like machine guns, laser guns etc. In total there were 8 stages to complete before you reached the final enemy. The game spawned many sequels on the NES, Super Nes, Game Boy, Playstation, Sega Saturn, Playstation 2 and Nintendo DS. 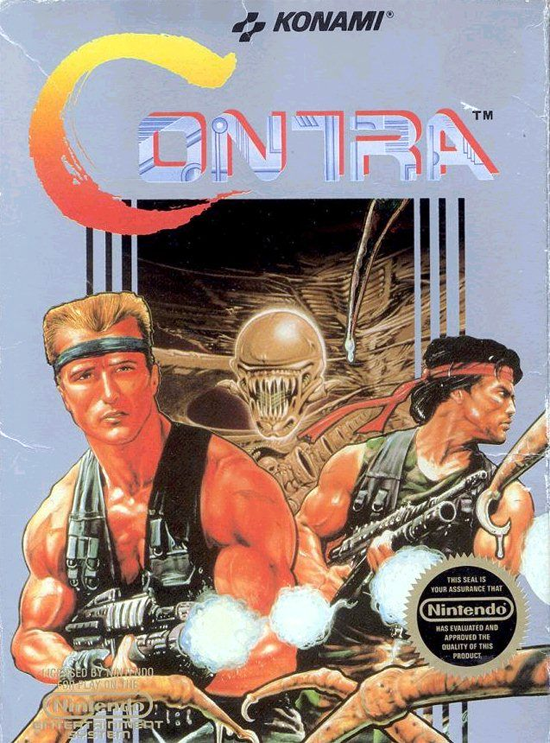 In later years the series came full circle in Europe with the Probotector name being rebranded as Contra. Double Dragon II: The Revenge was an arcade port of the successful side scrolling beat up Double Dragon. The original was released on the NES in 1988. This sequel was released at the end of 1989 in Japan by Technos Japan. It was released at the start of 1990 in North America by Acclaim. 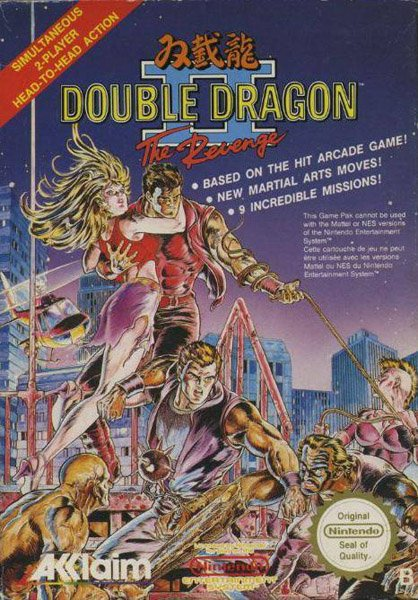 Unlike the first NES Double Dragon game, Double Dragon II had that all important 2 player game. 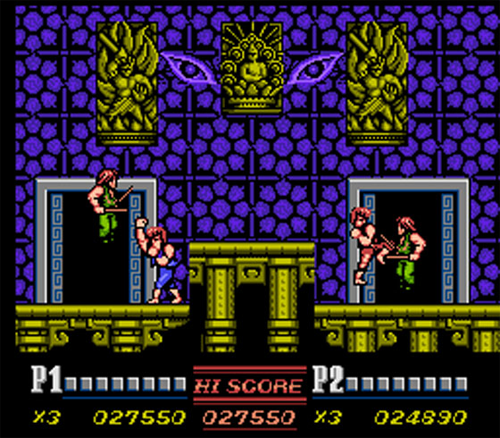 Players could choose either 2 Player A or 2 Player B mode. One mode allowed you to hit each other whilst the other didn’t. In the game you play as either Billy Lee or Jimmy. It is a side scrolling beat em up. As you walk along the screen will stop, which means that you need to kill all enemies on the screen before you can proceed. 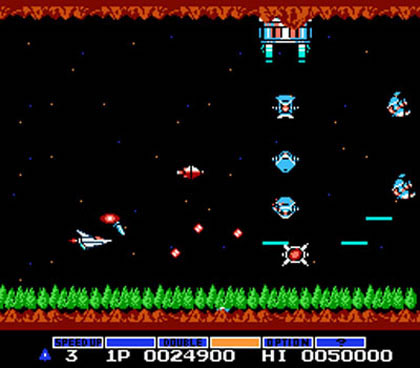 The game had nine missions in total and proved to be a massive hit with NES gamers. A third Double Dragon game was released on the NES entitled Dragon III: The Sacred Stones. The game is best remembered for being incredibly difficult and for misspelling the lead characters name as Bimmy in the very first screen! 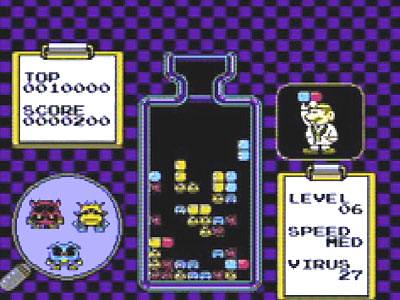 Dr. Mario was a great fast paced puzzle game which Nintendo released for the NES in 1990. The game is very similar to Tetris in many respects though the gameplay is a little different. In total there are 6 different capsules, all combinations of red, blue and yellow. Within the block area are various germs, which are coloured red, blue or yellow. The aim is to match the coloured capsules to the corresponding germs. 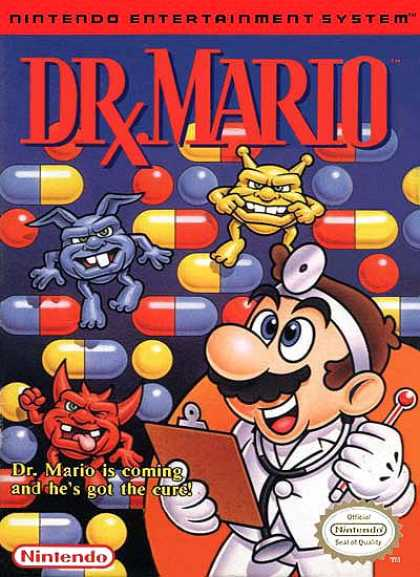 Dr. Mario has appeared on every Nintendo platform since the NES original including the original Game Boy, SNES, Nintendo 65, Game Boy Advance, GameCube and Wii. 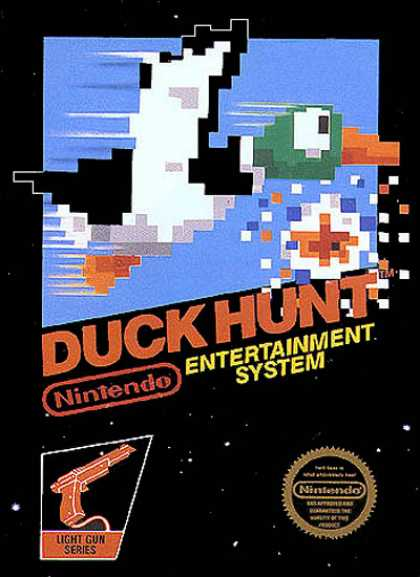 Duck Hunt was one of the first games on the NES and one of the games which most gamers had since it was included in so many console bundles. It was released by Nintendo in Japan in 1984, North America in 1985 and Europe in 1987. The game wasn’t the first to use the NES light gun but it arguably the best. The game is pretty straight forward, being split into two game modes. You can either shoot ducks or shoot clay pigeons. 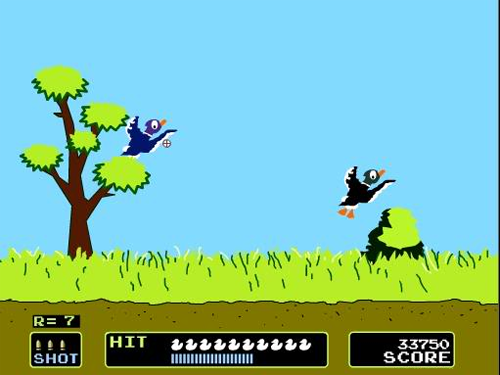 You get 3 bullets to kill the ducks. In each round there is a dog which catches your ducks for you when you shoot them down. However, if you miss them the dog will sit up and laugh his head off. Experts believe this dog has been shot more times than any duck or clay pigeon!! One of the reasons the game was so popular was because it was included in so many NES console bundles. Any bundle which included the Zapper gun came packaged with the game. The game was usually included on the same cartridge as Super Mario Bros. 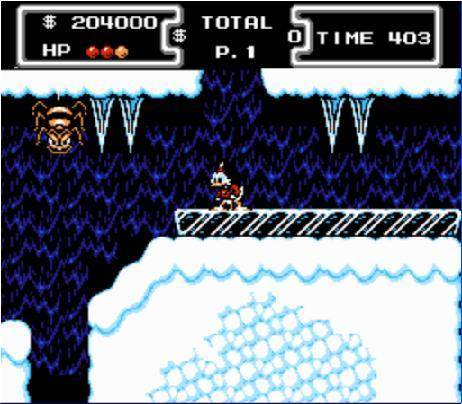 Duck Tales was a platform game which was released by Capcom in North America in 1989. It was released the following year in Japan and in Europe. In the game you control Scrooge McDuck in a search for treasure around the world. 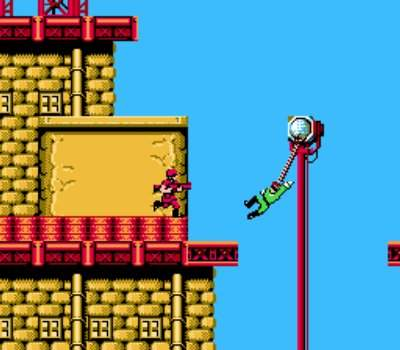 You can use your cane to jump on bad guys, similar to jumping up and down on a pogo stick. The game features all of the characters from the Disney cartoon. 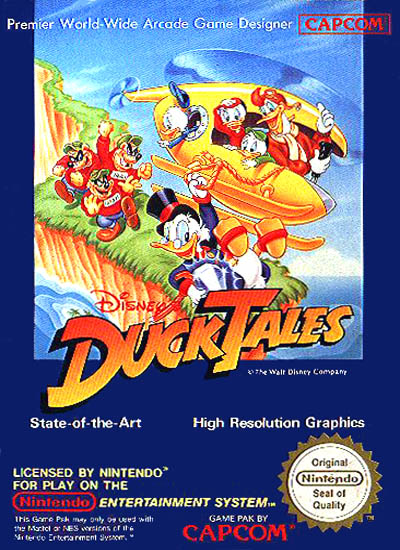 Unlike many other games which were aimed at young kids, Duck Tales was a great platformer and was well received by fans. Since Disney wasn’t known in Japan, the game was renamed Naughty Ducks’ Dream Adventure! The game spawned a sequel (Duck Tales 2) in North America and Europe, which was released in 1993. The SNES had already been released by this point so it didn’t sell too many copies. 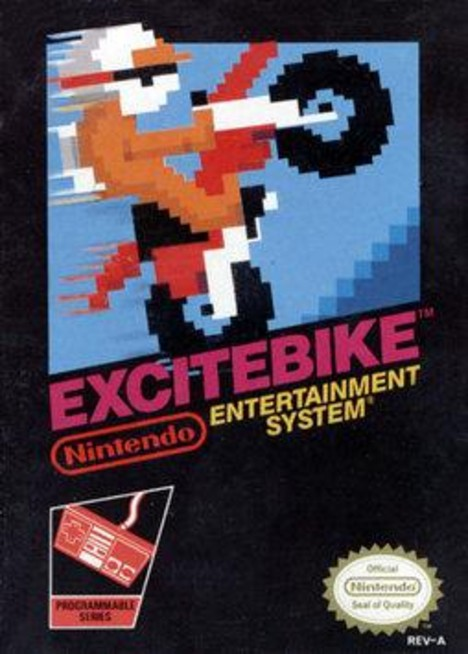 Excitebike was one of the first games released for the NES. A Shigeru Miyamoto classic, the game was released in Japan in 1984, North America in 1985 and Europe in 1986. The game is a motorcross racing game. You can play on your own or against the computer. In the game you need to jump over hills and avoid mud (which slows you own). If you don’t time the jump right you will crash. Though it was more common for your bike to overheat, which meant that you couldn’t simply hold down the acceleration button and you had to slow down at the right times. A sequel was later produced and released in 2000 for the Nintendo 64 entitled Excitebike 64. It got mostly positive reviews upon it’s release. 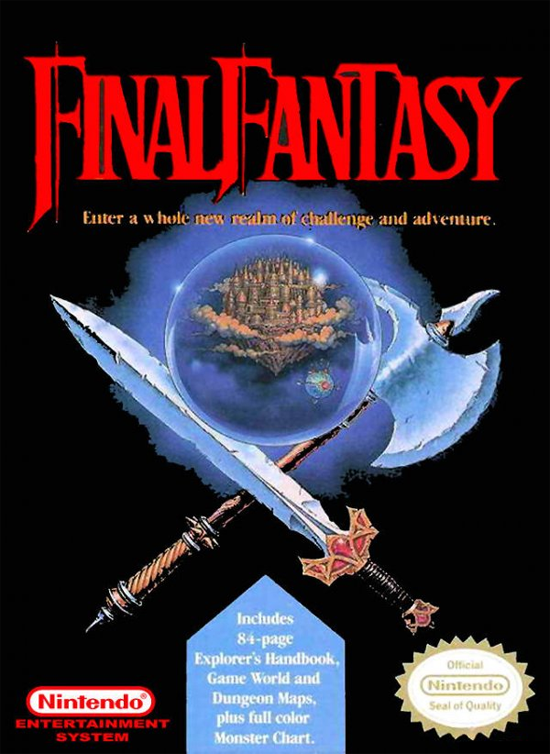 Many people forget that the hugely popular Final Fantasy series started it’s life on the NES. The original game was released in Japan by Square in 1987 but wasn’t released in North America until 1990. 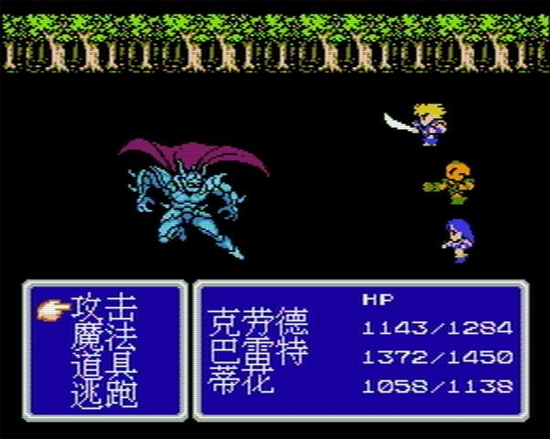 Like all Final Fantasy games, the first game in the series was massive. The game is set over 3 continents. You wander around towns and dungeons and when you come across an enemy, you do battle with them using magic and skills you have learned along the way. The game is driven by strange and interesting storylines, which lead you from adventure to adventure. The original game is apparently one of the hardest and there’s no doubt that it’s successors have improved on the original though the NES game is still a classic. With 13 direct sequels and several spin offs on many different platforms, the Final Fantasy series is nothing short of a phenomenon. 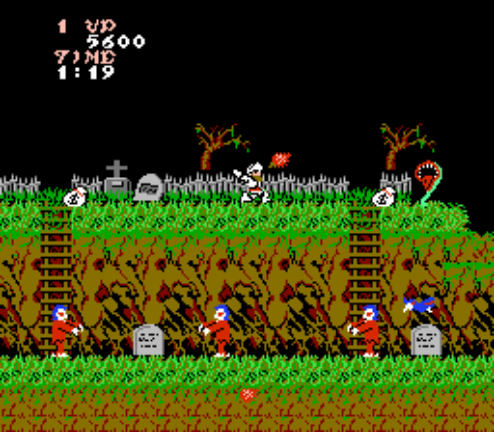 Ghosts ‘n Goblins was a popular platform game by Capcom which was released in 1985. It was released in the arcades and then ported to the NES by Micronics. In the game you control a knight called Arthur who has to kill zombies, demons and other sorts of weird creates of the dark, in order to save Princess Prin Prin. You can improve your armour and weaponry along the way. The game is known as one of the hardest games ever made. You get very little health, very little extra lives and you need to complete the game twice before you come face to face with the end boss. 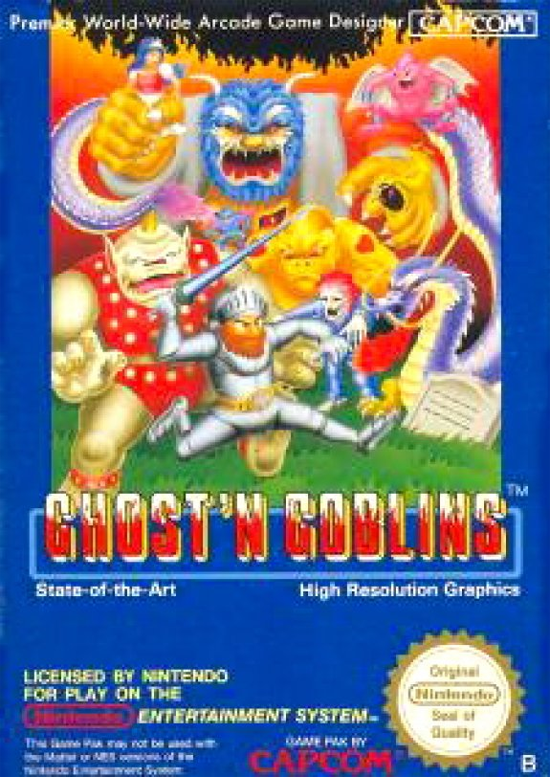 For some strange reason, the game was referred to as Ghost ‘N Goblins (i.e. no s) in posters and game marketing but in the game it was properly referred to as Ghosts ‘N Goblins. The game was very successful and was ported to several other systems. It also spawned several sequels. 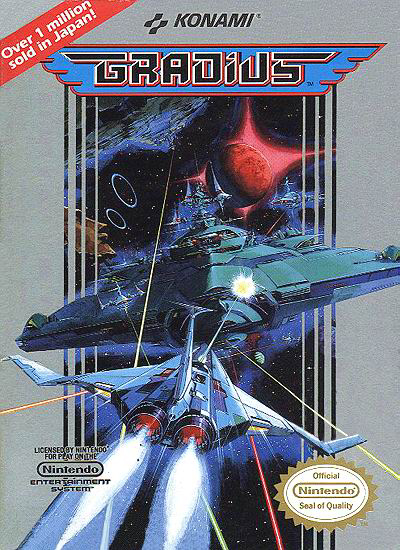 Gradius is a side scrolling shooting game which hit the arcades in 1985 and 1986. 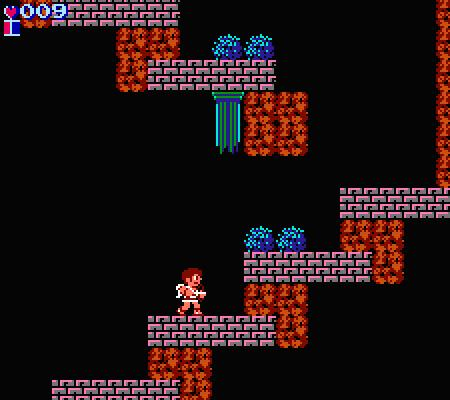 Konami later ported the game to the NES in 1988. In the game you control a spaceship called Vic Viper. Your ship has a standard weapon though this can be upgraded throughout the game by picking up power ups. 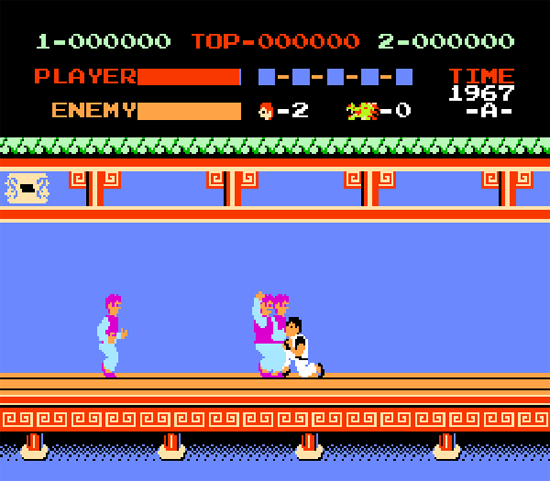 The game is recognised as one of the best arcade ports on the NES. The arcade was known outside of Japan as Nemesis though all console ports used the name Gradius. The NES version has since been released on the Wiis Virtual Console. 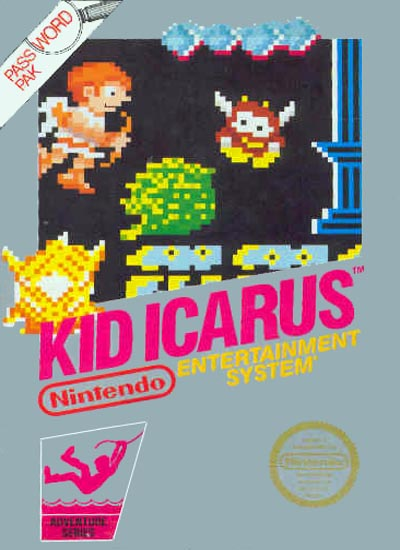 Kid Icarus was one of the earlier NES games to be released. It is perhaps overshadowed by some later games though Kid Icarus is a great game which is worth playing. It was released in Japan Light Myth: Palthena’s Mirror on the Family Computer Disk System. It was later released in cartridge form in North America and Europe in 1987. In the game you control a character called Pitt, who lives in Angel Land. Angel Land has been taken over Medusa the Goddess of Darkness. Palutena the Goddess of Light, sends Pitt a bow and arrow in order for him to save Angel Land. The game plays very much like other platform games of the time though there are many dungeon levels so parts of the game feel like an adventure game. The game uses the same game Engine as Metroid, which was released around the same time. 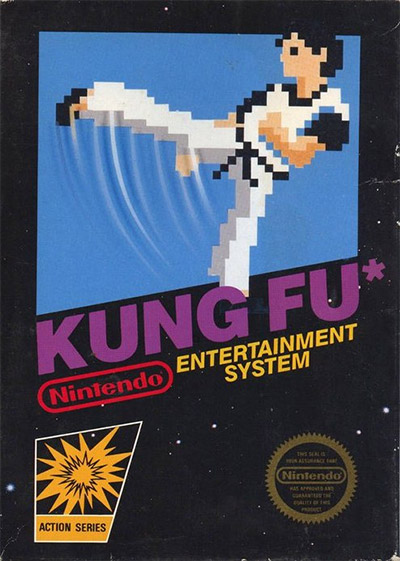 One of the earliest NES games, Kung Fu was released on the NES in 1985. It’s a port of the arcade game Kung-Fu Master, which was released the year before. The game is loosely based on Bruce Lee’s Game of Death. You star as Keiji Thomas, a Kung Fu expert whose girlfriend Sylvia has been kidnapped by Mr. X. There are 5 levels in total. At the end of each level is a boss, who you must defeat before you can walk up the stairs to the next level. You have two moves: punch and kick. Though you can do a sweep by pushing down and a jump kick by pushing up. It’s very simplistic but it works, to this day the game is a classic arcade style beat em up. Like many games of this time, there is no end as such. You simply go back to the start and keep going, trying to rack up as high a score as you can. 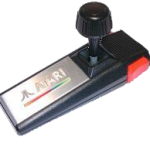 The game was ported to just about every games system available in the 80s including the Atari 2600, Atari 7800, Commodore 64, Spectrum and Windows. Please proceed to Part 2 of our Classic Game List.